We have discussed about how to subtract hours from java 8 using LoclaDateTime class in java. Now we will see how to subtract minutes from current date time in java. 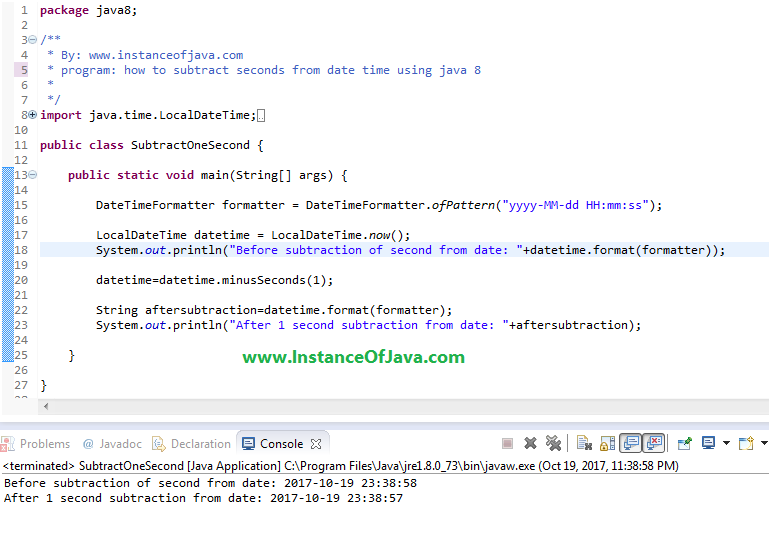 How to subtract minutes from current time in java / How to subtract minutes from time in java. Program #1 : Java Example Program to subtract minutes from given string formatted date time using java 8. Program #2 : Java Example Program to subtract seconds from given string formatted date time using java 8. Program #3 : Java Example Program to subtract seconds from current date time using java 8.